It’s been a little over two years since we first released Octodad: Dadliest Catch, and almost six years since we released the original Octodad. In that time Octodad: Dadliest Catch has sold over one million copies across PC/Mac/Linux, PlayStation 4, PlayStation Vita, Xbox One, Wii U, iOS, and Android. We’re absolutely stoked by the idea of that many people enjoying the frustrating follies of our floundering father simulator. 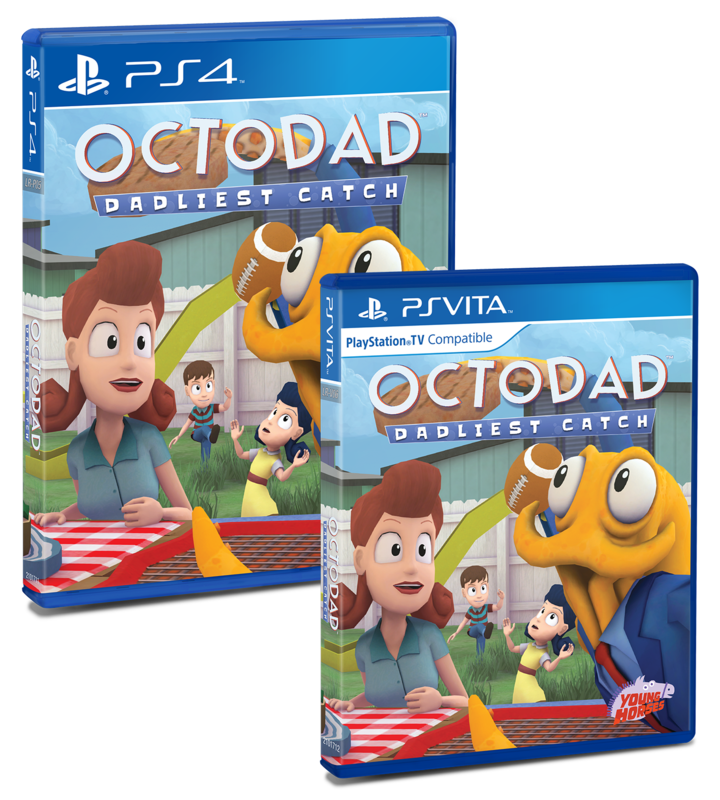 To commemorate the occasion, we’re working together with Limited Run Games to release PlayStation 4 and PlayStation Vita limited edition boxed copies of Octodad: Dadliest Catch! Orders for both will be up on June 19th, which coincidentally is Father’s Day. Those rad prints will have exclusive box art, as well as a cool insert you can only get with these versions of the game. And yes, they include the ‘Shorts’ update. Each boxed version of the game will be up for order on 06/19/16 for $24.99. Once these limited editions are sold out there will not be a re-print. So grab one while you can!